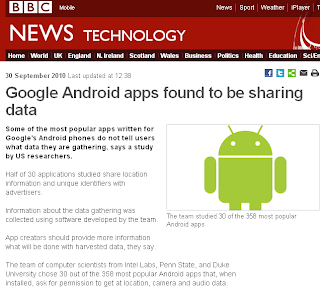 One nice thing about the Android market is that applications have to say exactly what they want access to. But how many people actually read this? Why do some applications need access to things that make no sense? 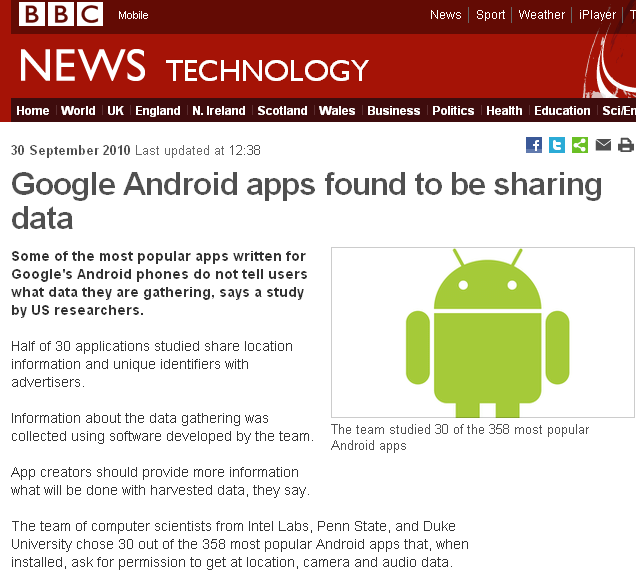 A team of scientists looked at 30 popular Android apps and came back with some worrying conclusions according the this BBC report. In particular, applications are not clear about the data they are gathering or exactly what it is being used for, and the "simplistic" warnings that happen on installation are criticised. I'm not really into tinkering with the internals of my Android phone too much, as there's always a risk that it will get bricked and I do use it for stuff. Still, hats off to these folks (video below) who have ported the ROM from the Desire HD into the original Desire.. and now it boots up in just 3 seconds! Sure, not everything works.. but wouldn't it be nice if HTC (and other manufacturers) could do the same thing? This is HTC's video exploring the new Desire Z and its features. Looks good! You might recognise the HTC Desire Z as the T-Mobile G2, or perhaps from its apparent codename of HTC Vision. A but like the Desire HD, this is really just HTC stretching the Desire sub-brand to other high-end devices. 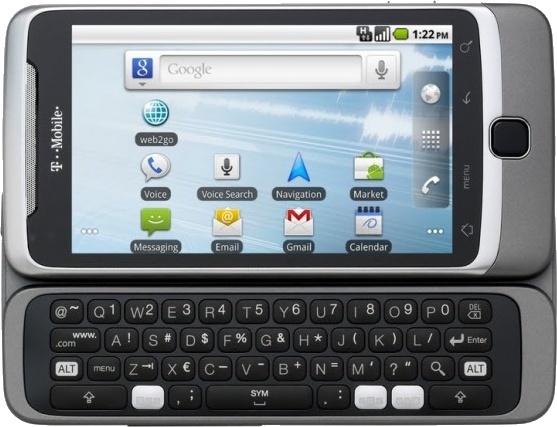 Like the G2, this has HSPA+ support and a slide-out QWERTY keyboard running on top of Android 2.2, and it competes strongly with the Motorola Milestone 2. 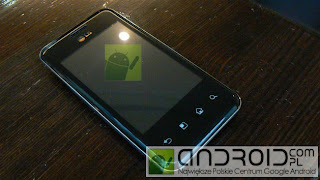 Well, it's finally official.. the HTC Desire HD is the Android equivalent of the HTC HD2. The screen has been increased to 4.3", the processor and RAM has been upgraded and the HD supports HSPA+.. but don't expect it to replace the original Desire any time soon because it's a substantially bigger and more expensive device. LG haven't made much of a dent in the Android market.. the LG Optimus series is an attempt to gain some much-needed market share. As far as we're concerned, they're just run-of-the-mill black slabby things that are unlikely to excite consumers.. still, here's a video explaining why LG are doing it. A video about the upcoming G2 that also seeks to clarify that there's more than one handset with the G2 name..
Confusingly, there are two phones with the name T-Mobile G2, one is the T-Mobile G2 Touch which is a version of the HTC Hero launced last year. This new one is just called the T-Mobile G2 and is T-Mobile's version of a new upcoming phone codenamed HTC Vision, initially heading for T-Mobile USA. 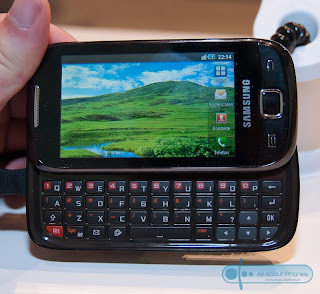 This is a QWERTY slider running Android 2.2 on an 800 MHz Snapdragon MSM7230 processor (allegedly faster than the 1GHz CPU found in rivals). There's a 3.7" display on the front, a 5 megapixel camera with HD video recording capabilities on the back and a very nice looking keyboard, but the G2's key selling proposition is the inclusion of HSPA+ data. HSPA+ gives a theoretical maximum download speed of up to 21 Mbps, but real world figure will be two-thirds of that or much less. And of course you'll need access to an HSPA+ network, which is still being rolled out by T-Mobile USA. T-Mobile are pushing HSPA+ as a 4G technology, it is just an enhancement to 3.5G technologies and is probably best described at a 3.75G technology.. 4G isn't here yet and for most customers it won't be for some time. The G2 should be available to T-Mobile USA customers sometime this month, but we would expect to see it available worldwide under the HTC name by the end of this year. In my view Dell make some nice hardware, but they have just about the worst customer service in the world and are probably best given a very wide berth. So, it was probably predictable that the Dell Streak should end up as a disaster, according to this report. Firstly.. the darned thing shipped with Android 1.6 which is frankly a relic, and the promised upgrade to Android 2.1 (not 2.2 mind you) is turning into a disaster. The upgrade is buggy, users are losing data and applications are malfunctioning.. and the O2 and Dell forums have a growing list of complaints. Is it any surprise when a company with zero experience of smartphones and a reputation for terrible customer service ends up with what looks suspiciously like a disaster on its hands? Fortunately there are plenty of other manufacturers to choose from.. so perhaps Dell should be given a very wide berth. If you want a Android QWERTY slider phone, then your choice is probably going to be a Motorola or a Motorola. However, the folks at allaboutphones.nl spotted the Samsung I5510 at the Vodafone booth at the IFA show, and from the pictures and brief description they give, we can see that this is a pretty nifty looking Android 2.2 device. The I5510 appears to have WiFi, 3G data, a 5 megapixel camera and Bluetooth, which is pretty normal. The display looks a little on the small side so it could be a WQVGA device. No other details are available at the moment, we suspect that Samsung will announce something officially quite soon. 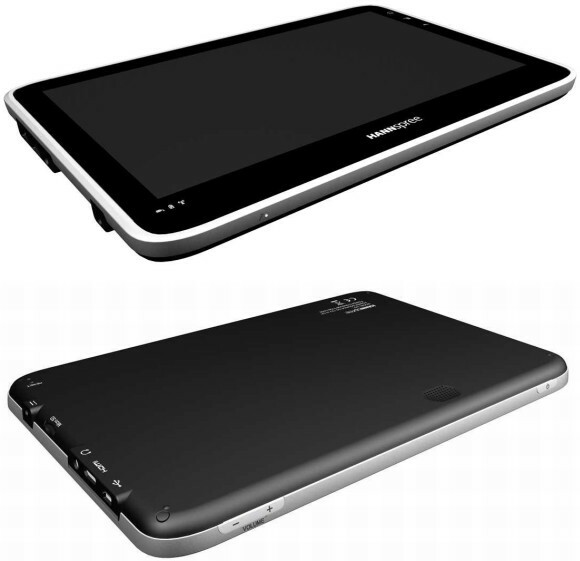 The Toshiba Folio 100 is pretty much an Android equivalent of the iPad, with a non-3G version due in October and a 3G version due early next year. It's about a third less than the iPad too, and the Toshiba name on it should indicate that it will be reasonably high quality. It's actually a bit heavier than the iPad, although there are plenty of docking options available. 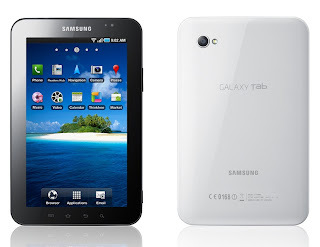 The rival Samsung Galaxy Tab has similar capabilities but a much smaller (but same resolution) display. 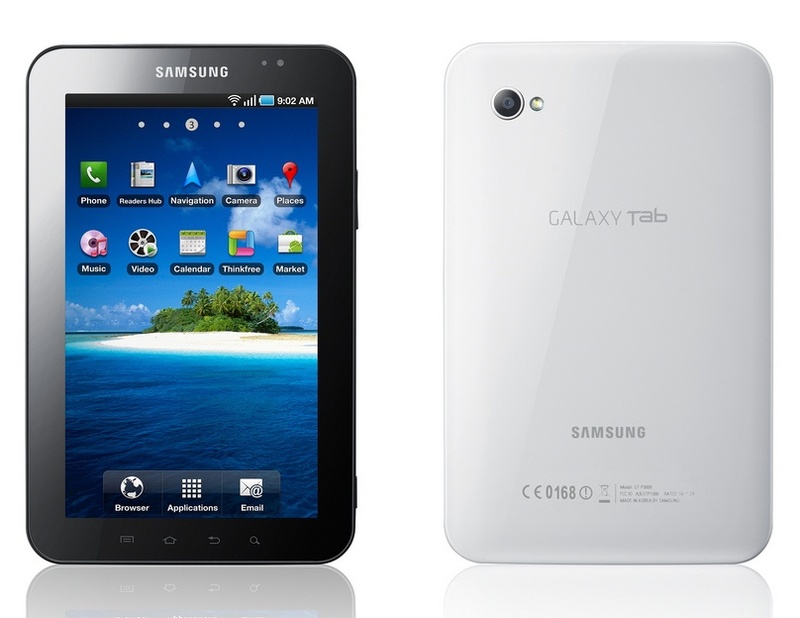 More details about the Samsung Galaxy Tab. The big mystery is the price - it will be more expensive than most simple tablets because it supports 3G data as well as WiFi.. bear in mind that the Dell Streak retails at about €600, although that's an over-priced and under-specified device in our opinion, the Galaxy Tab looks much better. An unexpected announcement from Moto yesterday was the Motorola DEFY, which is basically a rugged Milestone-style handset with the same display, but with an 800 MHz processor (halfway between the original Milestone and Milestone 2) and for some reason Android 2.1 rather than 2.2. Off the top of our heads, it is about the only tough touchscreen smartphone that we can think of, and if you've ever dropped and broken one of these expensive gadgets then this could be for you. All sorts of manufacturers are putting together Android tablets at the moment, but one of the most anticipated is the Samsung Galaxy Tab - and finally this device has gone official. The main feature is the 7 inch 1024 x 600 pixel touchscreen display, but under the hood is a 1GHz processor and 512MB of memory with Android 2.2 running plus some software enhancements from Samsung called "Hubs" for social networking, entertainment and so on. It supports WiFi including 802.11n and the usual protocols, and also standard European 2G and 3G networks, which means that you can use it anywhere.. and presumably make phone calls, presumably you would want to use a Bluetooth headset though (and the Galaxy Tab supports Bluetooth 3.0 while we're at it). When it comes to size, the Samsung Galaxy Tab is about half the size and weight of the Apple iPad, but then the iPad has a much bigger screen. On the back is a 3 megapixel camera plus a 1.3 megapixel camera on the front for video calling. The Tab comes with either 16GB or 32GB of memory internally, and there's also a microSD slot which can take an additional 32GB of memory. In Europe, Vodafone will be carrying it although no pricing has been specified, and we guess that other carriers will have it too. More information is available from the Samsung Galaxy Tab site. More about the new Motorola Milestone 2..
No surprises.. just a welcome relief that the Motorola Milestone 2 is actually coming to Europe during Q4. 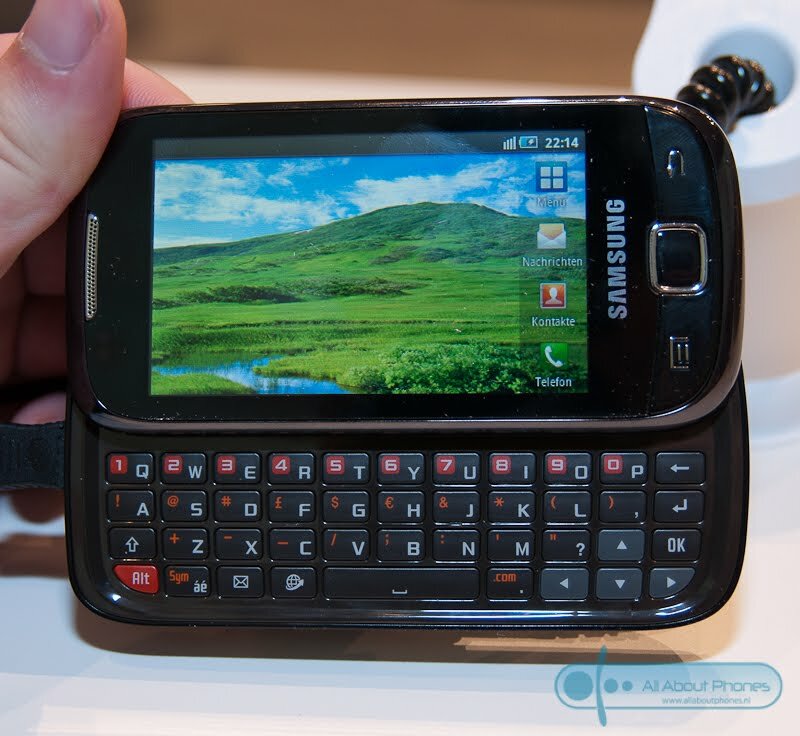 It's a straight port of the DROID 2 with a 1 GHz processor, more internal storage, Android 2.2, HD video recording, data tethering and a much less awful keyboard. Best guess is that this will set you back about €500 or so at launch. The Milestone 2 also includes the MOTOBLUR social networking / bookmarking / whatever which frankly we can live without, but many users of other Motorola handset say that it works well. Moto have more information about the phone here. Is ten inches enough? Is it really better that the seven inches that the iPad has? Hannspree seem to think so, with this very powerful (and unnamed) tablet device pitched to sell at at €400 and coming with a 1024 x 600 pixel display and a 1GHz processor and Tegra 2 graphics chipset. This is a strictly WiFi only device, which is just as well as the thing weighs 800 grams and is basically massive. Android 2.2 is included plus a decent set of speakers and of course the large screen and powerful graphics card, so it certainly looks impressive. Tablets are probably going to be massively popular by Christmas, and this Hannspree gizmo is certainly very competitive.. assuming that they have the resources to market it. LG has never been a particularly strong player in the smartphone market, but in the past 12 months or so they have made more of an effort to muscle in on the Windows and Android markets. The spy shots of the LG E720 show a fairly inexpensive handset with a 3.2" WQVGA touchscreen, 5 megapixel camera, WiFi, GPS and Android 2.2. Cynics may comment that the E720 looks rather like one of those fake Chinese iPhone handsets that comes out of Shenzhen rather than anything that will set the pulse racing (at least the LG GT540 looks fresh in LG's range). There's no word on price or availability, but we don't imagine that this will be very expensive.